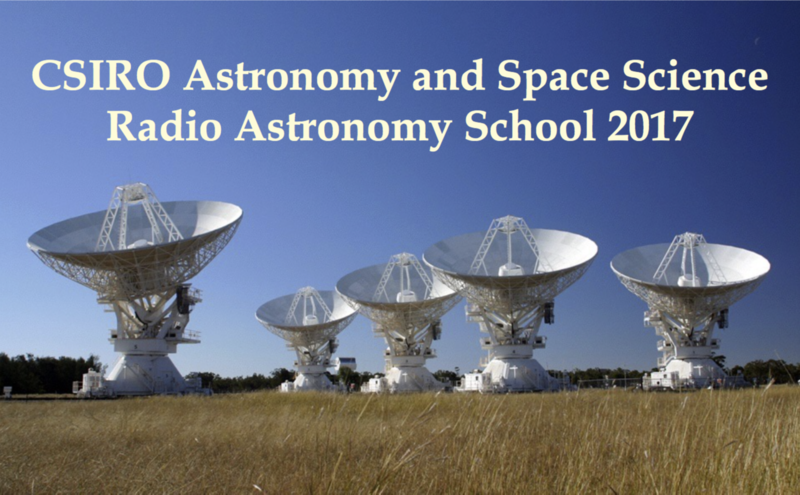 The hands-on sessions of the radio school will consist of several elective options including visiting one of the antennas, observing with the ATCA, data reduction and data analysis sessions. We will have data reduction sessions aimed at absolute beginners and also sessions aimed at participants who already have some experience with radio astronomy data. For the data reduction tutorials we would like to ask you to install some software in advance. See the list in the Software requirements section. Miriad - instructions for installation are here. We also recommend some additional software for data analysis and visualisation. Kvis from the Karma package - to view radio astronomy images and data cubes. Ds9 - a simple way to view fits images and data cubes. CASA - can do data reduction, data analysis and visualisation. Python and Jupyter Notebook - for advanced data analysis and visualisation. Interferometry and Synthesis in Radio Astronomy - open access book. Essential Radio Astronomy - NRAO lecture notes.